Jacques Lacan, a French psychoanalyst who suggested that the mirror stage of human contributes to the development of self concept, and sometimes dreaming is also a subconscious reflection of oneself. No matter we dream or not, messy fragments of memory do not fully constitute a complete self. 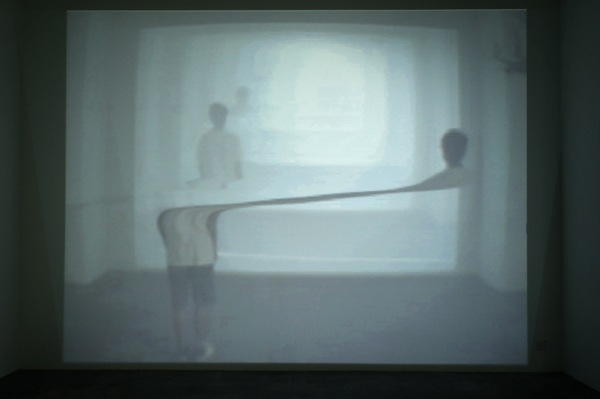 “Invented Dream” is an interactive device that is based on the idea of time and space in photography, which produces a moving image combining different times in one space. The audience would observe the mix of past and present, like an ambiguous dream of reality and delusion. Somehow, We can know more about ourselves when we look back.